Lawsuits filed against Cook Medical over their defective IVC filters are gaining traction and moving towards trial. U.S. District Judge Young is overseeing the federal multidistrict litigation (MDL) and has announced that a group of 10 Cook Medical inferior vena cava (IVC) filter lawsuits have been chosen for early trial dates that will begin late 2016. All Cook Celect and Cook Gunther Tulip IVC filter lawsuits have been consolidated in a MDL, in the Southern District of Indiana for fast track discovery and pretrial proceedings, since October 2014. According to the latest court house data, there are about 200 lawsuits filed against Cook Medical, that have been consolidated and centralized in Indiana. What’s The Problem With Cook IVC Filters? Inferior vena cava (IVC) filters, are small, implantable metal devices for patients at risk of a pulmonary embolism or a blood clot to the lung. These folks have contraindications to the standard therapy for blood clots, anticoagulants. The filters block blood clots from traveling to the heart or lungs, from the legs, known as a deep vein thrombosis. These filters are designed to be retrievable and be removed once the risk of pulmonary embolism has lessened. These filters have come under fire because of many reports of catastrophic and fatal injuries. All of the complaints have similar allegations, that the Cook IVC filter moves or migrates out of position, punctures the IVC vein, fracture and embolize causing small pieces to travel to the heart, lungs or brain. Judge Young has set Cook IVC settlement conferences for February 16, 2016, during which the parties will negotiate settlement for some cases. As part of the MDL proceedings, a series of early trial dates or bellwether trials will be set to help the parties determine the strength or weaknesses in their cases. If the initial settlement conferences are successful, then a global settlement maybe in the cards. There are also a large number of Bard Recovery filter lawsuits and Bard G2 filter lawsuits pending nationwide. A similar MDL proceeding were established for all cases against Bard involving their retrievable IVC filters. Those cases are centralized before U.S. District Judge David G. Campbell in Arizona. Attorneys for the plaintiffs and the medical device manufacturer will meet for the first time with Judge Campbell on October 29, to discuss the status of the cases that have been pending nationwide, some of which trial ready. What’s The Problem With Bard IVC Filters? The Bard Recovery and G2 implantable filters are retrievable, but many plaintiffs claim that Bard failed to warn about the importance of removing the filter once the risk of pulmonary embolism has passed. In August 2010, the FDA issued a warning about the risk of IVC filter problems, noting that the agency had received hundreds of adverse event reports where filters caused catastrophic injury. 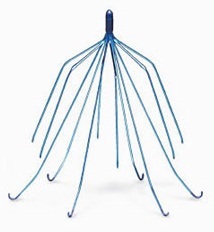 According to March 2013 JAMA Internal Medicine study, the effectiveness of IVC filters is in doubt. The findings noted that less than 10% of filters evaluated in the study were successfully removed from patients and 8% of recipients of IVC filters suffered a pulmonary embolism despite the device’s presence. In May 2014, the FDA strongly recommended doctors to remove IVC filters within about one to two months after the risk of a pulmonary embolism has passed. According to a recent NBC News investigative report, many deaths and injuries have been linked to Bard blood clot filters. The report also announced that Bard knew for years about the risk of problems with its IVC filters, particularly the Bard Recovery filter, which was the first generation design on which the Bard G2 filter was based.